The Causes Of Neck Pain In Swimming ~ Feel For The Water! Advice & Tips to Improve Your Swimming. 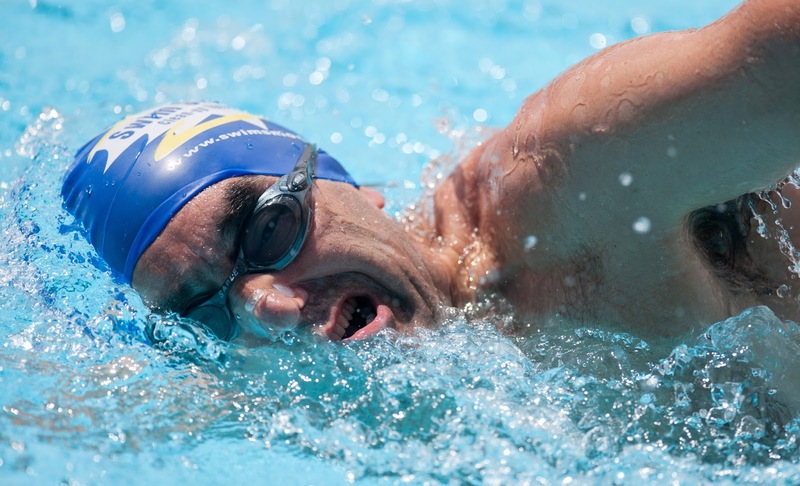 If you suffer from neck tension or pain after swimming you'll know how annoying it is but have you considered it might be something in your stroke technique causing it? Here's three classic stroke flaws that place a large load on the muscles in your neck, which commonly lead to pain and discomfort in the neck or trapezius muscles. Having to twist the neck this far round places a lot of stress on the neck, which can easily lead to soreness after swimming. This is a very common stroke fault amongst Bambinos (and also extreme Overgliders with very low stroke rates). 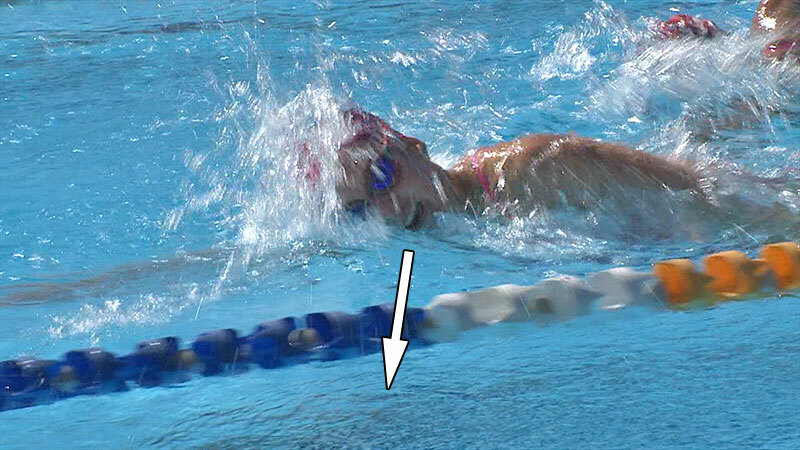 When we swim we should use the bow wave created by the head as it passes through the water, the bow wave shape creates a trough by the side of the head which we should be breathing into straight across the pool in position A. Notice how Steve's lower goggle is in the water and he's looking across the surface of the pool, not twisting and looking skywards. If you're quite new to freestyle, keeping your head this low can take a little getting used to but it's an essential skill to master to make breathing comfortable and relaxed. Try developing it whilst swimming with a pair of fins on, you'll be more relaxed with the fins on and your extra speed through the water will exaggerate the size of the bow-wave. 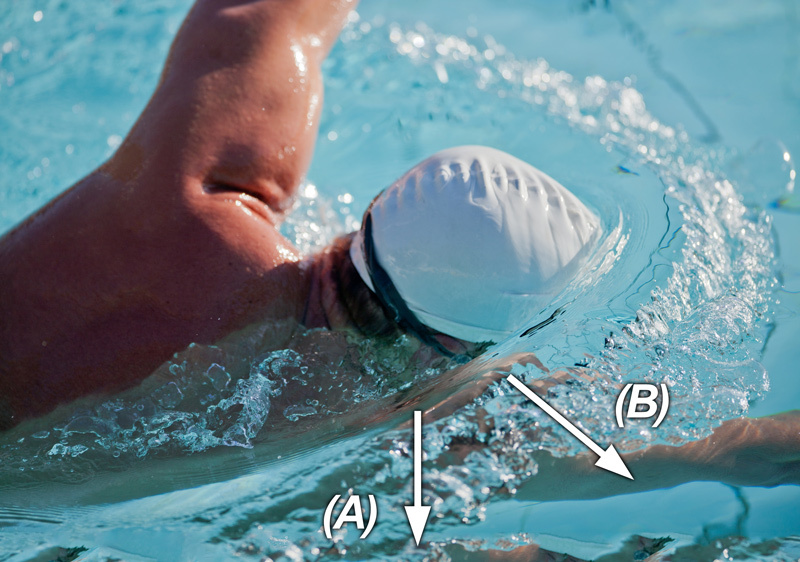 If you try to breathe further forwards of this point in position B then the surface of the water is much higher and you will have to crane your mouth and head upwards to find air. This craning position places a large stress on the neck, quickly leading to a sense of fatigue. Practise breathing in position A and you'll immediately feel relief. Lifting the head out of the water like this actually stops the bow-wave forming, so that trough beside your head disappears - making it feel like you have to lift it up that much or you'll swallow water! Trust that when you keep the top of your head in the water the trough will be there for you and you can keep your head much lower. Helpful post, especially for swimmers who have gotten past the "learn to swim" stage but who still have several flaws in their stroke. I think I'm getting better about the head position while breathing, but I know I can continue to improve on it. It's easy make mistake during breathing. In this post you can to freshen up the basic of swiming. Sorry for my poor english). 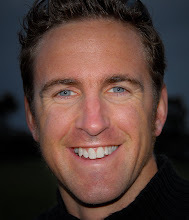 Hi D Swimmer, great to hear- keep it up! The Ultimate Secret To Improving Your Swimming?